Home > Mystery > Why black cats are thought to be bad luck? Why black cats are thought to be bad luck? Today we found the origin of superstitions related to black cats, including why when a black cat cuts your way is considered a bad luck. Black cats have not always been the cause of superstition and bad luck. In fact, about 5,000 years ago, in the days of the ancient Egyptians, cats (including the black ones) were rock stars of the animal world, and the killing of one was considered a very serious crime. The black cat's reputation began to be crushed in the Middle Ages when they began to be associated with so-called witches. Thus, the black cats began to be marginalized, and those who feed them were huliti and associated with the practice of witchcraft. This belief was brought to another level in 1560, when a story about a father and a son became very popular. It was said that they were going through Lincolnshire (eastern England) one night, and a black cat cut their way. They did what any man would do at that time, they threw rocks in a felled fella, running away in a woman's house, suspected of being a witch. The next day, his father and son met the alleged witch, who had wounds all over his body as if he had been hit by something. From that day, everyone in Lincolnshire began to believe that witches can turn night in black cats. Thus, an animal once venerated, has become a symbol of evil and misfortune in many parts of the world. However, in some cultures, the black cat is still considered a symbol of luck. 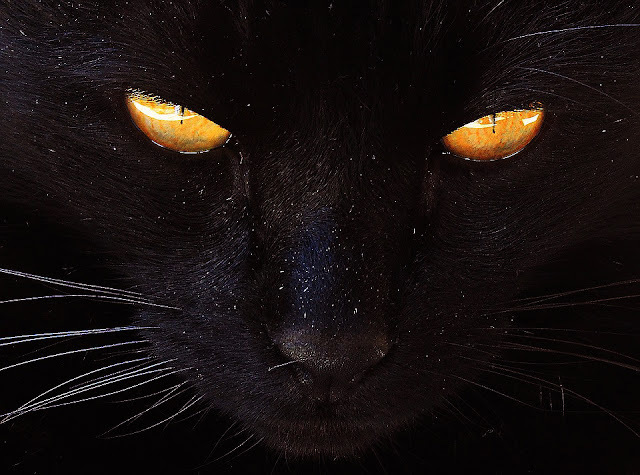 Scots believe that if a black cat reaches a home, it signifies prosperity, and pirates of the 19th century believed that if a black cat approached a man is bad luck, but if he goes away, he brings luck.